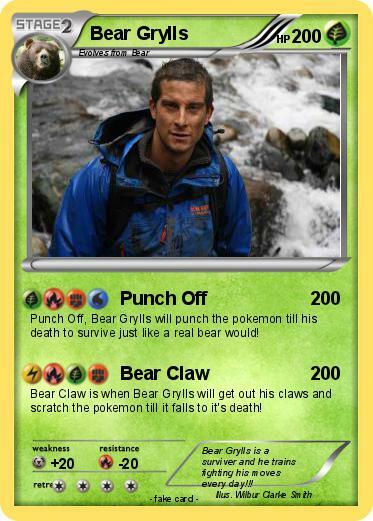 Punch Off, Bear Grylls will punch the pokemon till his death to survive just like a real bear would! Bear Claw is when Bear Grylls will get out his claws and scratch the pokemon till it falls to it's death! Comments : Bear Grylls is a surviver and he trains fighting his moves every day!! !